Marcy is a great baker. She opens a bakery in a small town. 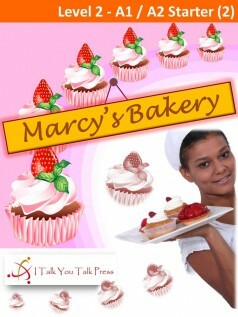 Everyone in the town loves Marcy’s strawberry and cream cupcakes. Her bakery becomes very popular. Then, one day, everything changes. People are finding problems with Marcy’s cupcakes. Marcy is shocked. Someone wants to damage Marcy’s business. The person is trying to destroy Marcy’s life. Who is it? And why is the person trying to hurt Marcy?